4 – Lawn mowing safety tips and a lot of common sense…. 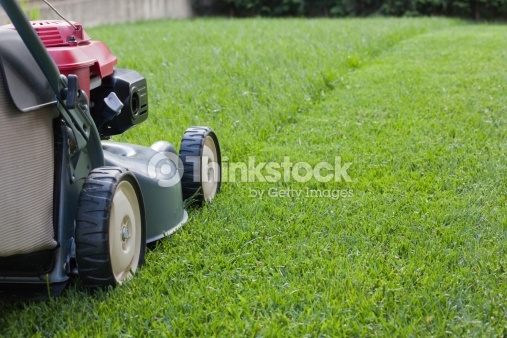 A lawn mower is a dangerous piece of equipment that can hurt you and others, while doing physical harm to your property. At first glance, it would appear that mowing the grass is a simple job: just pull the cord, walk behind the mower, and voila, the job is done. That could be true if you have taken good care of your equipment, know how it operates, and apply a lot of common sense. Below find 4 steps for mower safety that can help eliminate many of the mowing obstacles and dangers you face each time you mow. 4. Dig into the common sense area of your brain and use it! Swan Creek Landscaping, Inc. helps homeowners and businesses in Cecil and Harford Counties with helpful tips and suggestions for all your landscaping, maintenance, and mowing needs. From landscape design, to construction, to maintaining your property year round, we will provide you with a landscaping and hardscaping experience that will exceed your expectations. When considering your landscape, hardscape, or lawn-maintenance needs, please give us a call for a free consultation on how we can turn your visions and our experience into an outdoor living experience you and your family will enjoy and appreciate. Pest control for your yard and garden will enhance productivity….. If you are like most people who have gardens you spend a lot of time deciding what to plant, when to plant, how to plant and how to maintain you’re a valuable source of vegetables for our family. One morning you walk out and find that numerous pests have invaded your garden and turned it into a smorgasbord of fine dining for them and their friends. 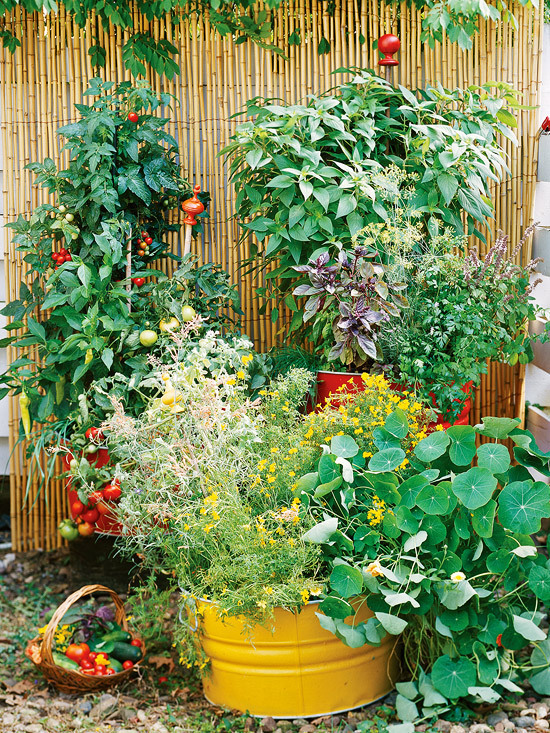 Below are a few tips that address the most common garden pests from destroying your garden. 1. Ground Hogs, Squirrels, Rabbits & Moles – As you might expect the best way to keep them away from the garden is to instill a fence. The fence should be high enough so they cannot come over the top and inserted into the ground enough to present them from digging under. We would recommend a fence that is at least 2 foot tall with about 6” inches placed in the ground. The placement of short metal posts can be spread apart about 3’ to 4’ feet and the use of Cable Ties makes it easy to assemble and to tear down. You will find in the Garden Store several different kinds of powders and pellets that suggest the ward-off pests of different varies. Some work and some just make you feel good about addressing the pest problem. Everyone has their remedy and one we have used with some positive results is spreading cayenne pepper around the outside perimeter of the garden. The smell seems to discourage pest from visiting your garden and to encourage them find somewhere else to look for food. The pepper will not hurt or damage your plants. 2. Deer pose a different kind of deterrent – Fencing would have to be tall to discourage these pests. There are also powders and pellets at the Garden Center that seem effective. One of the powders is called “Blood Power” and it does seem to ward-off deer. Another solution that some use is hanging net bags of pet or other animal hair. Check with your garden center for more information. 3. Birds…All of the Birds – There are several things you can do to keep birds away from your garden. One is to place aluminum pie plates around the garden which hang by string off of metal fence posts. This makes noise with the wind which creates a loud enough sound as to scare them. Another effective idea is to place a Bird Feeder in your yard that is close enough for them to see and visit and far enough away from the garden that do not want to visit. 4. Insects…thousands of Insects – It might be surprising, but the most effective way to address insects is to have healthy soil that is cultivated and active. Good soil will keep your plants strong and healthy which will ward-off insect attacks along with some other infections and molds. If you continue to have insect problems you might want to mix up a diluted mixture of mild dish washing soap and water to spray around the plants. The mixture will kill most inspects and will prevent other garden pests without effecting or harming your plants. Swan Creek Landscaping, Inc. prides itself in providing gardening ideas and options for our Cecil and Harford County clients’. Our Maintenance Group will create a unique outdoor gardening experience that will provide productive vegetables for you and your neighbors. In addition, our Service Group performs yard maintenance, mowing, plantings, landscaping, patios, pruning and retaining walls. Pick-up the phone and call us to learn how Swan Creek can change the look of your property with landscaping solutions that will enhance the appearance and value of your home. How in the world does a Paver Driveway improve the appearance of my landscape is probably the first thought that comes into your mind. Well to begin with, your driveway is probably the first thing everyone sees when they come to your home. So changing the look and functionality of the driveway can not only change the appearance of your landscape, it will change the look and beauty of your home. Swan Creek Landscaping has designed, built and maintained unique driveways using Techo-Bloc pavers for the past 9 years. We are a Certified Techo-Bloc Installer/Contractor for this industry leading provider of Pavers, Slabs, Permeable Pavers, Walls, & Outdoor Living Spaces including: Patios, Walkways, Retaining Walls, Steps, Driveways, Outdoor Kitchens, and Pool Decks. What are the design considerations for a Paver Driveway? The very first consideration is what materials and colors are pleasing to your eye. We would surely recommend you consider using the outstanding designs and craftsmanship offered by Techo-Bloc who will present multiple patterns, colors, and styles of pavers for your selection. Please do not be deceived; picking the right color and design is the toughest part of the project and will take some time. Brick Paver Driveways – These materials (there are several to choose from) and the related design will focus on a classic, rustic, elegant look to your home’s exterior. Permeable Pavers – Features include many attractive patterns and styles, but with an added feature of being “self-draining” which helps to prevent erosion and the opportunity for a flooded driveway. Flagstone Pavers – Focuses on the classic, random patterned Maryland quarry stone look from the era of so many small stone quarries of the past. The classy look will bring out the beauty of any home. 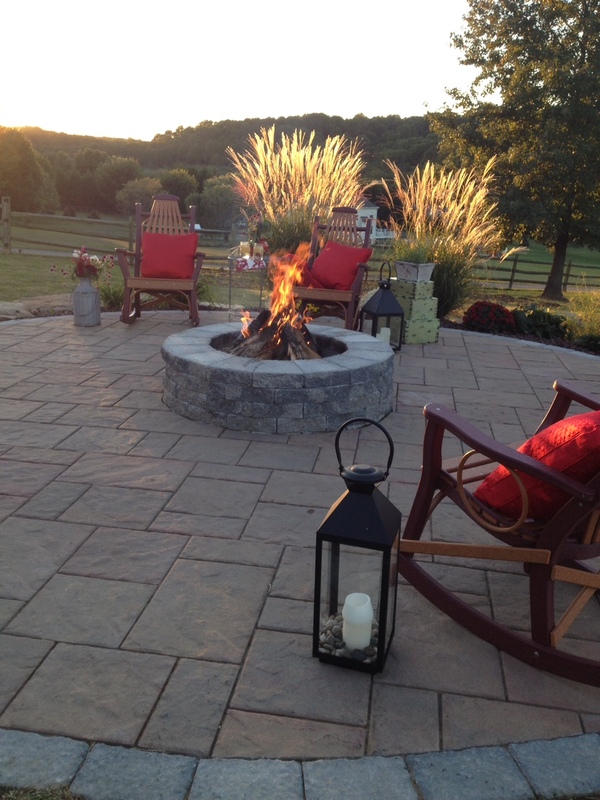 Techo-Bloc has many pavers to choose from and we can send you a catalog upon your request. You have picked the materials and colors and now it is time for the real design choices which begs the following questions: What size of driveway do you want? Do you want a turnaround area? Do you want you walkways to match the driveway? 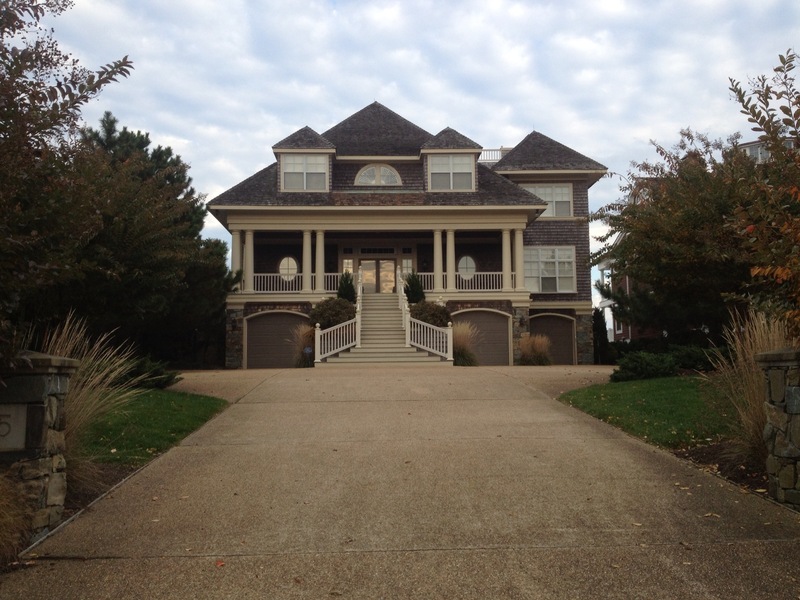 Do you want a wraparound driveway? Do you want a defined edging outlining the driveway? Do you want to landscape and/or add plants to parts of the driveway? Do you want the driveway to be lighted? Do you want a marque entrance added? With many of the decisions made and your questions answered it is now time for your landscaper to start your driveway redesign, which should include the design patterns, materials, colors, construction plans, project timing and, of course, the cost of the project. 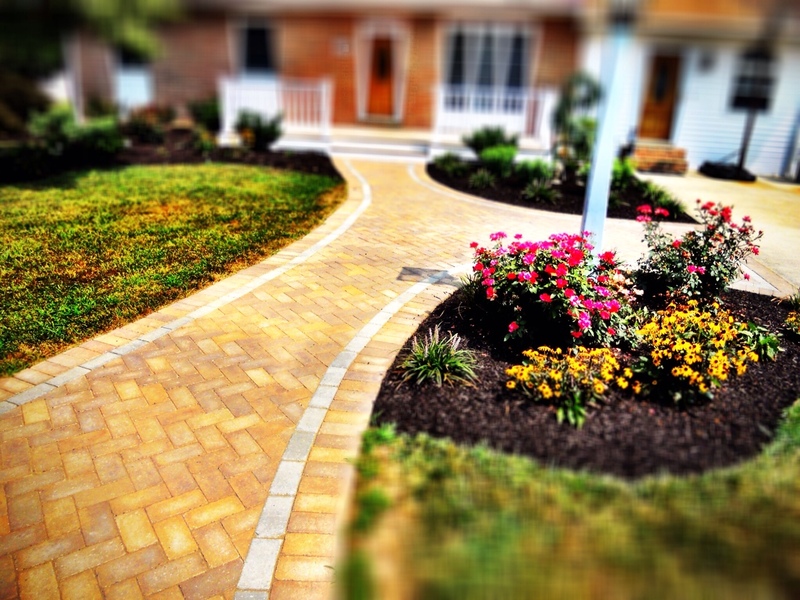 Swan Creek Landscaping, Inc. helps homeowners and businesses in Cecil and Harford Counties with all of their landscaping needs including new Paver Driveways to beautify your home and landscape. From design, to construction, to maintaining your property year round, we will provide you with a landscaping experience that will exceed your expectations. When considering your landscape, hardscape (patios, walkways, driveways, pool decks and outdoor living spaces) or lawn maintenance needs, please give us a call for a free consultation on how we can turn your visions and our experience into an outdoor living experience you and your family will enjoy and appreciate. You don’t have to have a large lawn to enjoy the Maryland outdoors…. People who live in cities and towns often have small lawns and outdoor living spaces. Across the country, in the past few years, lawns have been getting smaller and smaller. 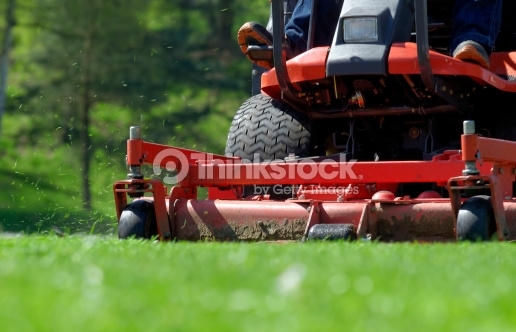 The main reason is the time, energy, equipment and supplies it takes to maintain large lawns and landscapes. Taking care of small lawns can be easier and more fun than you think. The following are just a couple of ideas to care for your lawn, in a timely manner, while enhancing your time outdoors. 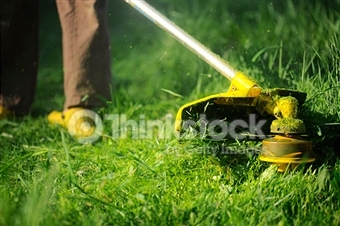 Tool Needs: Depending on the size and type of lawn you have you may only need a smaller number tools for maintenance. 1. 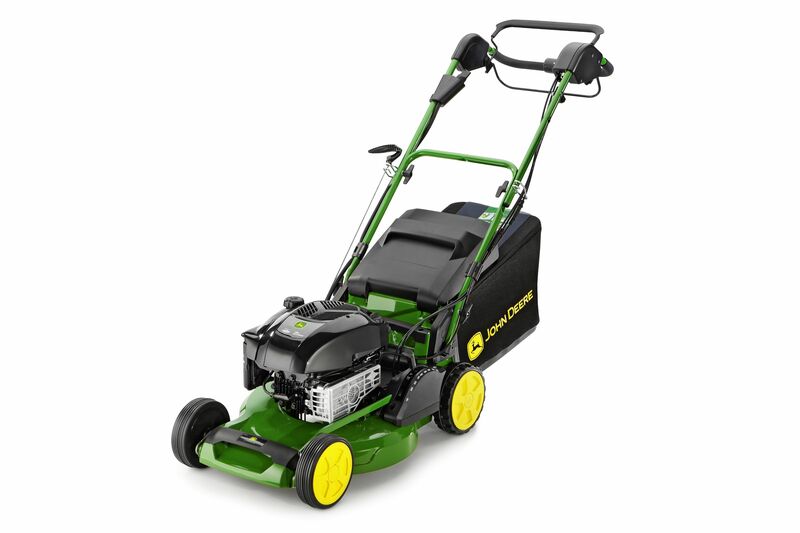 Mower – A small electric mower or hand push mower that has height adjustment capabilities may be just what the doctor ordered. The new battery powered electric mowers are easy to use, take little space to store and require a minimum amount of power to charge. 2. Hand Tools – If you have any flowers or a few vegetables plants you might want to have a light weight shovel, garden rake, leaf rake, 5 gallon bucket and a broom. A hand cultivator and shovel might also fit your needs for the flower beds. 3. Trimmer – Consider a small battery powered electric string trimmer to do you edging and trimming around the house, flower beds and sidewalks. 4. Small Spreader – You might also want to invest in small spreader to spread fertilizer and lawn food in the spring and fall. The Scotts Snap Spreader System might be just right, check it out at you Lawn & Garden Store. 5. Landscaping – Consider adding or changing your landscape by designing a space that adds some plants, shrubs and hedges for privacy, incorporates intimate flower and garden beds, and allows for a nice outdoor living space with a patio, hot-tub or fire pit. 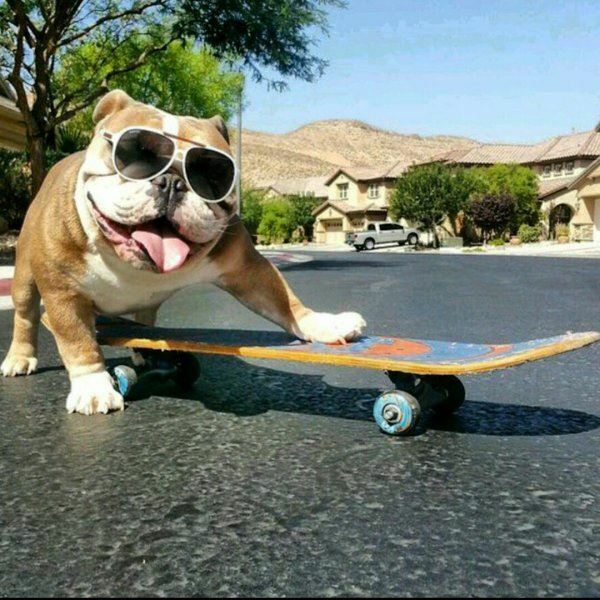 Anything is possible so use your imagination and you will create a landscape that will be the envy of the street, which is beautiful, useful, and inexpensive. Swan Creek Landscaping, Inc. creates and installs small landscape solutions with large results to our Cecil and Harford County clients’. In addition to our lawn and property Maintenance Services Swan Creek also performs Landscape and Hardscape services that include: Gardens, General Landscaping and Hardscapes that include retaining walls, walkways, driveways, pool decks, patios and outdoor living spaces…both large and small. Please call us to learn how Swan Creek can change the look of your property with Landscaping Programs that will enhance the appearance of your home along with the value. In the early spring, late fall, and late night summer evenings you want to spend your time in your outdoor living space. Fortunately, there is Outdoor Lighting that can extend the fun and relaxation time you want to enjoy with your family and friends. But, do you have Outdoor Lighting or does your Outdoor Lighting need to be upgraded with colors, high intensity LED’s, and a low voltage regulated systems. Swan Creek Landscaping, the leader in outdoor living spaces, has some tips for you that will help ensure you are getting the most out of your Outdoor Lighting. What do I need to do to get the most out of my Outdoor Lighting? 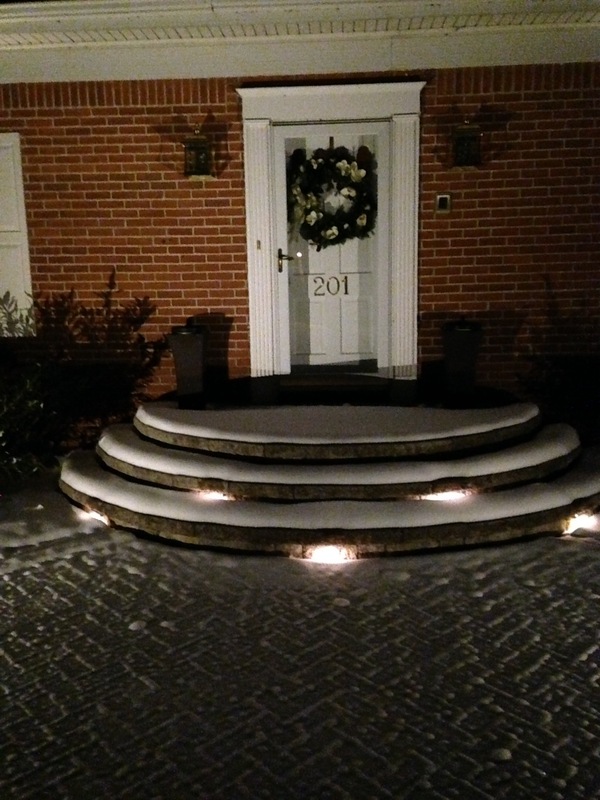 • Lighting your walkways for safety and beauty. Invest a little time and energy into lighting your walkways to bring out the beauty of the spaces, while ensuring everyone can clearly navigate their way into your house. Done right, you can highlight the beauty of your landscape design and your curb appeal. • Layering lights can change the look of your landscape. The use of layered lighting can bring out the beauty of the architectural design of your house, landscape and outdoor living space. The use of several different types of lights will highlight many different elements of your landscape. The use of LED lights, multiple colors, and spot lights with some directed up and some directed down and some at angles can change the entire appearance of your house and landscape. Thus, enhancing the beauty of your entire property and really making it pop. • If a little is good, a lot is better, is not really true for outdoor lighting. You do not want to turn you yard into a “landing zone” for helicopters. The lighting will need to be balanced across the yard, through the trees, up the walkways, and around the patio and house that will create a unique field of light that highlights your total living property. Following these few tips can make a giant difference when creating your beautiful “nightscape” that will allow you to enjoy more hours in your Maryland outdoor living space. And, you will not be spending a fortune because they will be energy efficient low-voltage LED lights that will last for years to come. 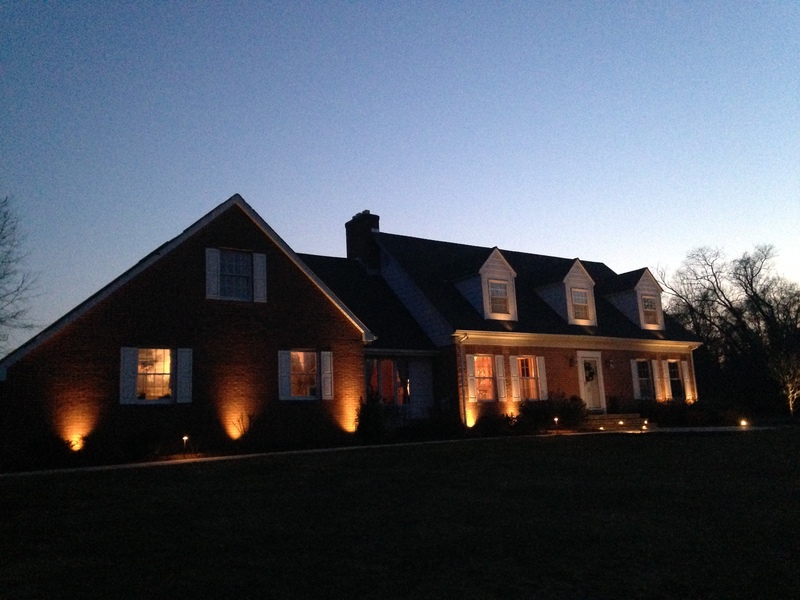 Swan Creek Landscaping, Inc. prides itself in providing uniquely designed lighting systems for our Cecil and Harford County clients’. From design, thru construction, till the dark of night turns on the lighting system, we provide distinctive outdoor living spaces that we can also maintain year round, including your yard maintenance, mowing, plantings, landscape, patios and gardens. Pick-up the phone and call us to learn more about how we can change the look of your property with a lighting system that will change your life…for the good! You have invested in a new Landscape that you helped design and the last thing you need is to have your plants wilt and die. We trust that your landscaper has taken into account your soil type, the hours your plants are in the sun-light, shading issues from the house and other plants, and has provided a selection of seasonal plants that will give you year round pleasure. Swan Creek takes great pride in providing our client’s with eye pleasing year round landscapes along with a watering program to keep them healthy that is custom designed to your particular landscape. Summer Watering Practices – Keeping your plants safely watered is just a little bit tricky when considering all of the events you have to take into consideration around the state of Maryland. The Weather Issue? – Key to watering your plants is to check daily the weather forecast, the related rain fall predictions, daytime and nighttime temperatures and to make sure that the forecast happened as predicted. Watering the night before a heavy rain might cause an over watering condition which can be as bad as under watering. Temperatures also play a key role in your watering program. If the temperatures are in the 70’s watering once a week might be fine. If the temperatures are in the 80’s watering twice a week might be best. And, if the temperatures are in the 90’s you might want to be watering every other day. If there is any questions about the need to water it is always best to check the ground around the plants neck and foliage area for moisture content. If dry – water! If wet – wait a while! Another tip: pay attention to the long-range forecast and make note of upcoming weather conditions on your calendar or I-Phone. The How Much Issue? – Most gardening experts, and Swan Creek Landscaping, suggest that for plants to be healthy and growing they need to have the soil moist down about 1/2”. As with other watering issues check around the plants with your fingers…do they need water? The When Issue? – The best time to water your plants and your yard is in the early to mid-morning hours. This allows the plants to “quench their thirst” during the peak temperatures of the day and also allows the plants to breath which will discourage humid soil round the plants that could cause mold and mildew issues from too much watering. The Application Issue? – Do not open up the spray nozzle and beat your plants to death with too much pressure and way too much water. Be kind and gentle with the watering by softly and evenly spreading the water around the base of the plant. Try to avoid watering down the leaves of the plants which could cause the plants to take on a disease or mold. Having a long-handled sprinkler nozzle that you can reach into and around the base of the plant is best. The use of a watering system, trickle system or soaker hoses really can be the best investment you make for keeping your landscape, plants, flowers and lawn in beautiful shape. Swan Creek Landscaping, Inc. helps homeowners and businesses in Cecil and Harford Counties with all of their Landscape needs, including watering tips to keep you landscape looking great. From design, to construction, to maintaining your property year round, we will provide you with a landscaping experience that will exceed your expectations. When considering your landscape, hardscape (patios, walkways, driveways, pool decks and outdoor living spaces) or lawn maintenance needs, please give us a call for a free consultation on how we can turn your visions and our experience into an outdoor living experience you and your family will enjoy and appreciate. Privacy landscaping can make you and your neighbors happy!!! Some time you just want to be by yourself or you just don’t want to hear your next door neighbor on their cell phone. You just want to relax with some quite time with no interference or you really want to sit out in the warm sun without the neighbor’s basketball bouncing through the patio and over-top of the grill. The answer just might be a phone call way and just around the corner. Designing a landscaping that creates a soft, quite, natural, privacy barrier can change the whole dynamics and enjoyment of your outdoor living space. There are many ways to address privacy barriers other than building an eight foot tall fence. Softscapes – One of the best ways to landscape for privacy is the addition of trees, shrubs, plants, and flowers designed in such a way that the line-of-sight is deterred and the normal day to day sounds of our neighbors and local traffic are muffled. Layering the plants allows for the larger plants to be designed on the outside of your yard creating a taller barrier and providing a place to nestle in the lower bushier plants to the inside for more subtle noises. Hardscapes – Designing decks and patios for privacy is another way to soften the neighborhood noises and allow for more privacy. The addition of Pergola and Trellises will not be able to hide the entire yard, but it will allow for private areas for your and your guest. Decorative Walls – One of the best ways to add privacy is to use Decorative Walls. They can be used around the slops of the yard to create new living spaces or gardens. You can also add an attractive addition to your patio or pool area that could include decorative fencing on the top edge for maximum privacy. Water Features – This is a unique way to design a new outdoor living space that is peaceful and relaxing, but it will also mask the noises of the neighborhood. The addition of a fountain or waterfall will also muffle the sounds from the air conditioner, street traffic and conversations from your neighbors. There is just something about the sound of a water feature that is relaxing and soothing to the ear. Swan Creek Landscaping, Inc. prides itself in providing privacy landscape options for our Cecil and Harford County clients’. Our Design Group will create a unique outdoor living space that will meet your privacy needs, while providing a unique outdoor living space. In addition, our Service Group performs yard maintenance, mowing, plantings, landscaping, patios, pruning and gardening on a contract basis. Pick-up the phone and call us to learn how Swan Creek can change the look of your property with privacy solutions that will enhance the appearance of your home and value.